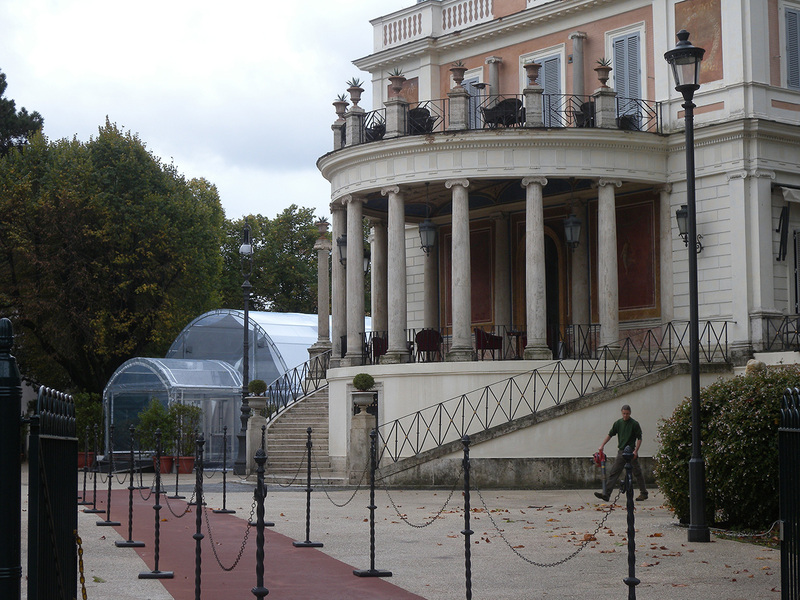 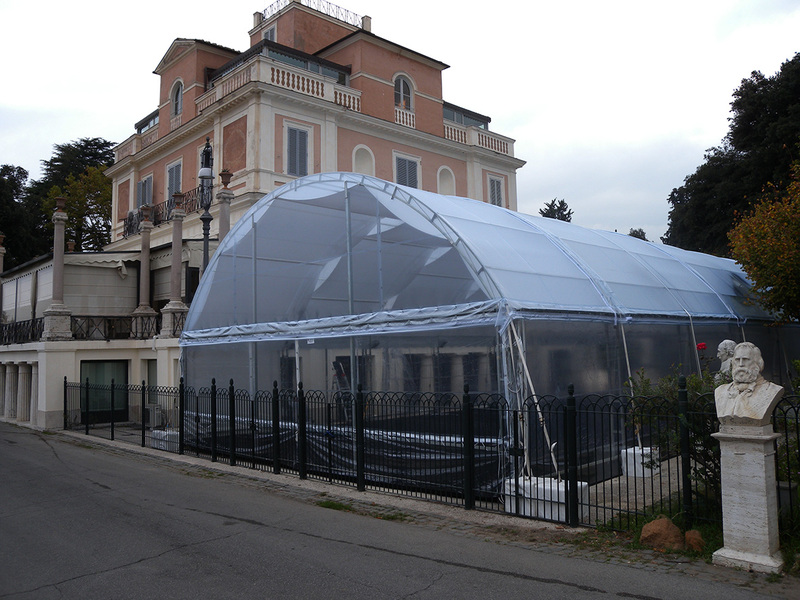 An ugly new addition to the gardens of the Pincio went up in the past two days, further spoiling the large area which the city ceded in 2004 to the private “restorers” and current for-profit users of the restaurant in the early 19th century Casina Valadier. 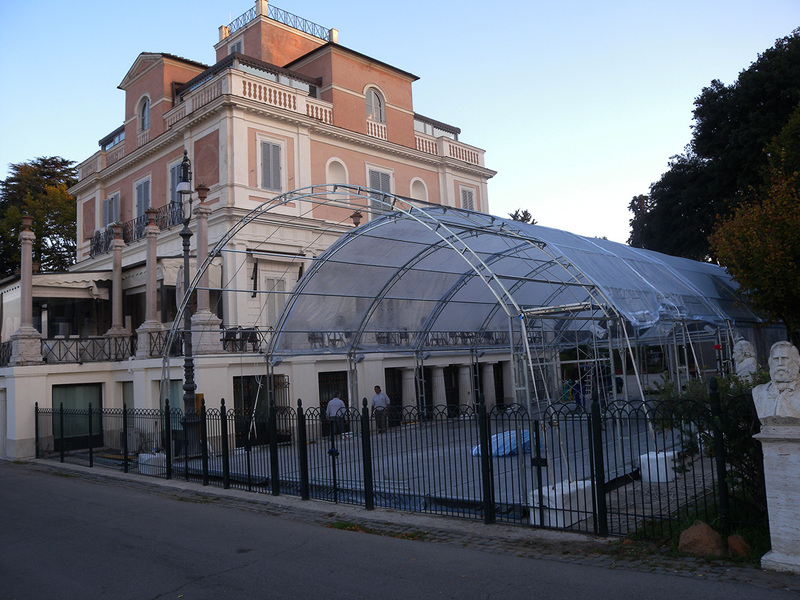 Not only have they added glass structures on the third floor (top center) of the 19th century Casina Valadier, but they are surrounding that historic building with steel and plastic pavilions (first pavilion’s entrance on the left, the second pavilion on the right). No reaction from the city government so far.